Part hunter was born of an idea; an idea that started as a solution to a need. 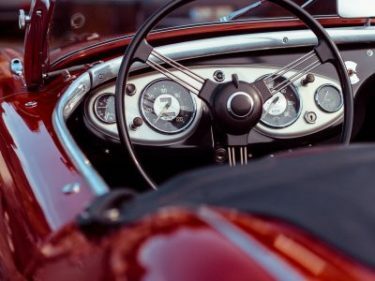 Part Hunter is a platform dedicated to the notion that automotive part-trading should be as simple as it is fun; a marketplace that moves beyond the exchange of automotive goods and services to create a vibrant community where motor-heads can share everything from stories to restoration and repair expertise. Part Hunter’s objective is to become the leading destination for the trade in used automotive parts across Australia. Learn More! Buying and selling are the core focus of Part Hunter. Part Hunter provides a platform that will allow users to find the right automotive part for their needs. In addition Part Hunter also allows users to make requests for a part they are searching for. You never know what is sitting in someone’s shed. Other then just offering automotive parts, Part Hunter gives users the opportunity to list automotive services. Whether you run a car detailing business, a body shop or even host a car club. Part Hunter provides the perfect platform to give your service valuable exposure to like minded people. Unfortunately we have all been here. We had a dream of doing up our favorite childhood car, but for reasons ranging from time, money or an impatient partner we have had to give up the build and now sits untouched. Part Hunter give this project a chance of a second life, by having it listed on the platform. Part Hunter aims to create an automotive minded community. The Part Hunter blog allows users to share their stories about anything, from their favorite car to a detailed How-To post. The commenting option on the blog post will give other users the opportunity to provide their input and opinions. The Part Hunter forum is the destination to talk anything automotive related. Have questions on how to change blinker fluid, or want to rant about road works in your region? This is the best place to create discussions while connecting with other Part Hunter users who have motors on their mind. Subscribe to a premium package to receive a monthly newsletter outlining major events in the motoring industry as well as information on the Part Hunter site. Special features will be include members from the Part Hunter community explaining their stories and giving Q&As.